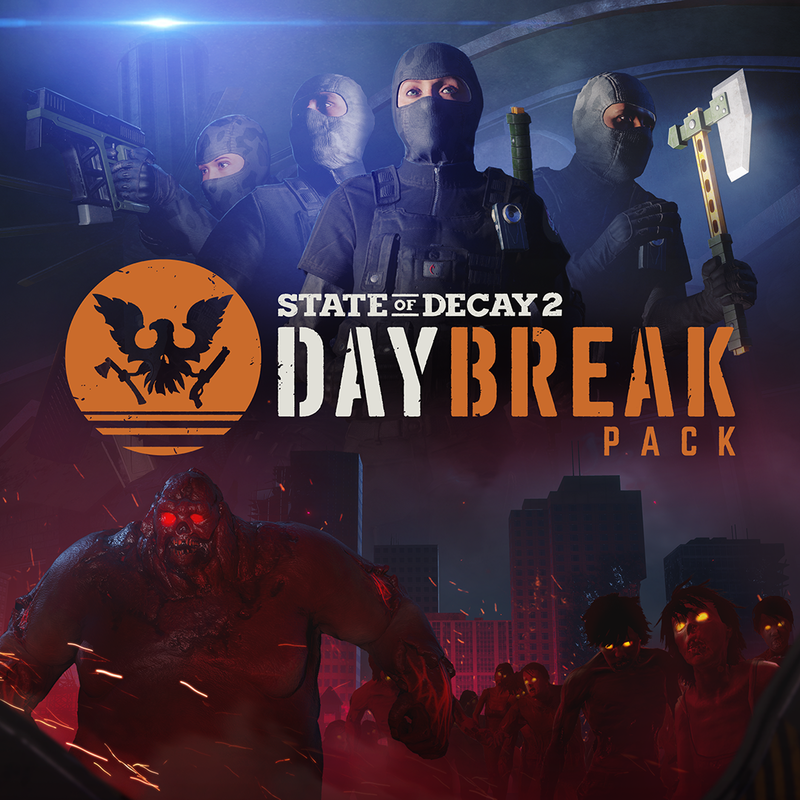 The new State of Decay 2 DLC is called Daybreak and was released on 12th September 2018. Daybreak is a third-person wave-based addition to the game, accessible through the initial menu for State of Decay 2. Daybreak can be played solo with the help of AI or can be played in a co-operative mode. The co-operative mode allows you to play with friends or through an online matchmaking system. Daybreak offers the opportunity for the player to take the role of a Red Talon soldier. Your aim is to defend a Red Talon tech against hordes of zombies whilst the tech works on a satellite uplink. In between each wave of zombies, you have a short opportunity to pick up supply drops around the map, manage your equipment and repair the walls of the base. Each time you enter a new game, your Red Talon soldier and tech are picked at random. Daybreak takes place in the dead of night, so with each wave of vicious attacks, you find yourself hoping for the events of the night to be over shortly after they have begun and wondering if your soldier will see the light of day again. Throughout playing Daybreak, you will obtain different rewards for the different types of zombies you have defeated, along with rewards for how far you have managed to get. If you manage to finish all of the waves, you can expect to get better rewards. Using the rewards, you can build up your arsenal to make defeating the waves of zombies as easy as it can be. Daybreak becomes more difficult with each wave that you manage to overcome. 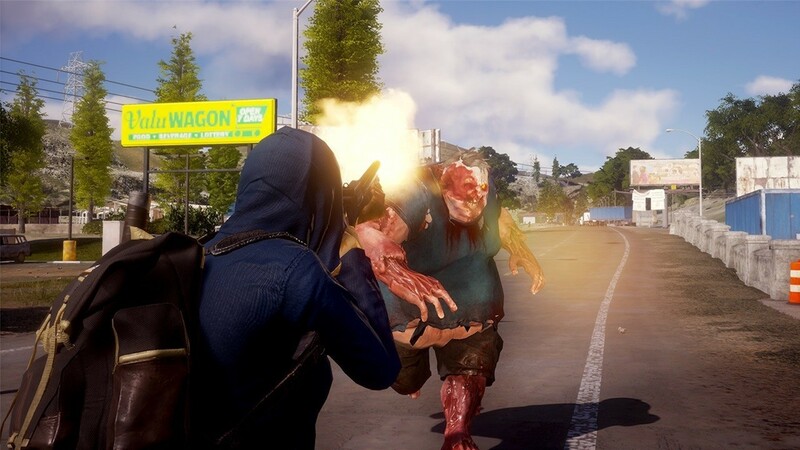 All of the tougher zombies from State of Decay 2, like the Juggernaut, Feral, etc., make an appearance within the waves of zombies as they become more difficult. Some of the tougher zombies are also infected with blood plague, making them even stronger. The best thing about Daybreak is the real sense of teamwork and community behind it. When I was searching for a group in the matchmaking system, this was extremely fast. I had waited around 90 seconds when a match was found, so this was great. Being able to play Daybreak with my friends and my husband made Daybreak even better. 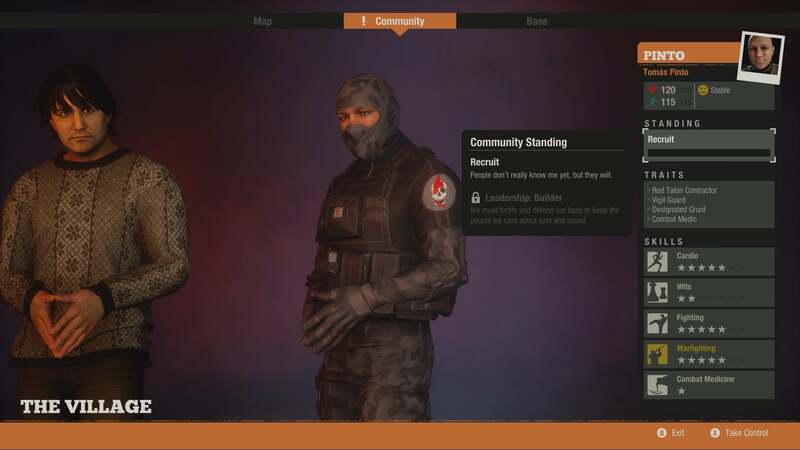 The co-operative option within the main game for State of Decay 2 was quite disappointing because of glitching and loading issues, but Daybreak doesn’t seem to be affected by playing with a friend. There are still glitching issues with Daybreak, but this happens when playing either solo or in multiplayer. The biggest issue I have found with Daybreak are the glitching issues. 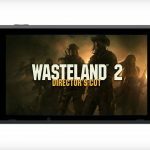 State of Decay 2 had a lot of issues with glitching and loading and it seems Daybreak has been affected by these issues as well. When playing Daybreak, there would be times where zombies would appear and disappear out of nowhere. I also found that when trying to shoot zombies from a distance, the game would glitch and the zombie would fail to register damage, and this happens even when it is a clear shot. Another issue I have found when playing Daybreak solo is that your AI companion does not help the same way another human player would. As I have mentioned, in between waves you get the opportunity to repair the base and collect supply drops. During these times, the AI companion just stands around and does not take it upon itself to help. That time is very limited, and you have to choose whether you need the supply drops more than you need to manage your equipment or repair the base. 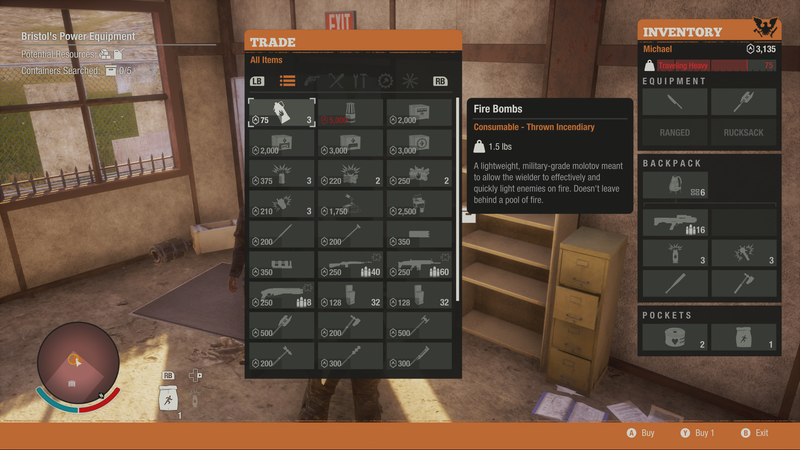 The new Daybreak DLC is a great addition to State of Decay 2. It gives the player a reason to pick up the game again, and I have found that it has made me want to play the whole game again. I have really enjoyed playing it with my friends and with my husband. It has a great matchmaking system that, at the moment, works very quickly with its huge feel of community. Daybreak is not without its faults. Similarly to the main State of Decay 2 game, it has major glitching issues, and the AI isn’t very helpful. One thing I would have liked to be added would be the option to customize your soldier when playing Daybreak. Customizing the soldier above the choice of weapons would have made the game stand out, and without this it feels like you are limited to how much you can strengthen the character you are stuck with. Daybreak has to be given its due. Overall, the DLC is extremely fun and has a real sense of teamwork. I am hopeful that further DLC will be released that allows different maps for Daybreak or a different objective. A whole new game mode or DLC will also be very welcome as Daybreak has been. 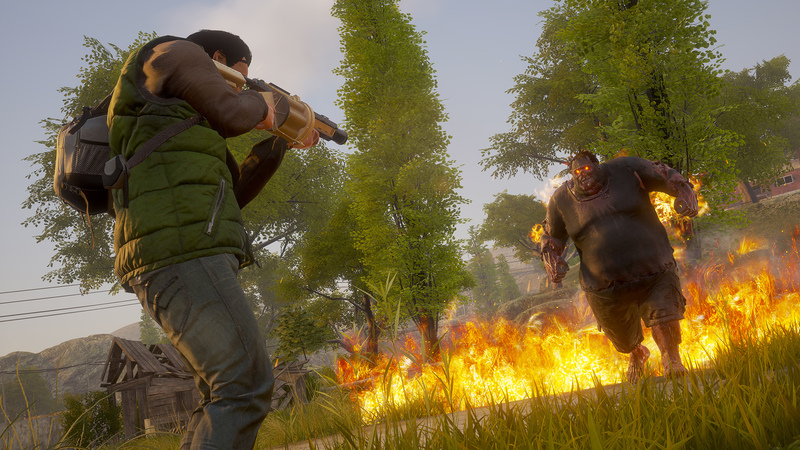 State of Decay 2: Daybreak has to be given its due. Overall, the DLC is extremely fun and has a real sense of teamwork. I am hopeful that further DLC will be released that allows different maps for Daybreak or a different objective. A whole new game mode or DLC will also be very welcome as Daybreak has been.